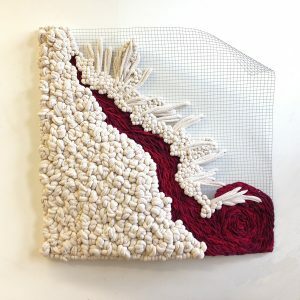 The Massachusetts and Rhode Island chapter of Surface Design Association is pleased to present their latest juried exhibition, Fiber in the Present Tense. 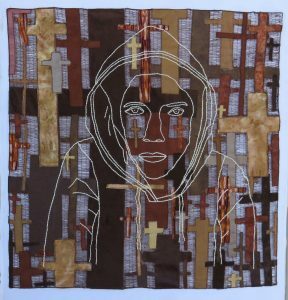 Currently on view at the Arsenal Center for the Arts, this show features fiber & textiles works created by regional members. 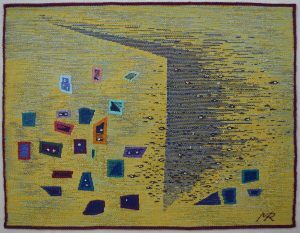 The exhibit is a panoply of the fiber arts, encompassing a wide spectrum of processes that reflects the mission of Surface Design Association. Focusing on inspiring creativity, encouraging innovation, and advocating for artistic excellence in textile-inspired art and design. 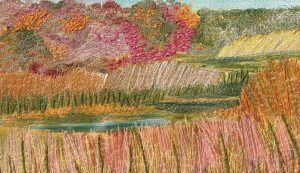 Juried by Marcia Young, Editor of Fiber Art Now magazine, the show features twenty-seven works by twenty-three artists chosen from a field of seventy-two submissions for the exhibit. 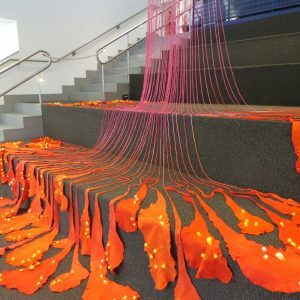 SDA Member Anna Kristina Goransson was invited to create a site-specific installation on the main staircase very close to the gallery. 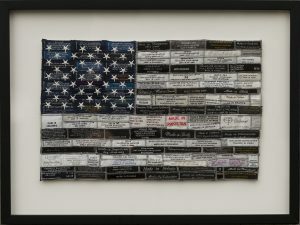 This decision was made by Nancy Crasco and Adrienne Sloane, co-representatives of the regional SDA MA/RI Group, to create an enticing entry into the exhibit. 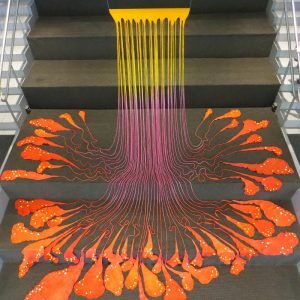 Flowing over the large staircase, Color Meditation was created by wet felting wool to make one, interconnected piece that was then dyed in many different stages. 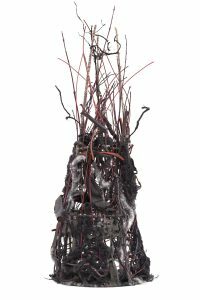 Fiber in the Present Tense is on display until Thursday, November 3rd 2016 at the Arsenal Center for the Arts (321 Arsenal Street, Watertown, MA 02472).